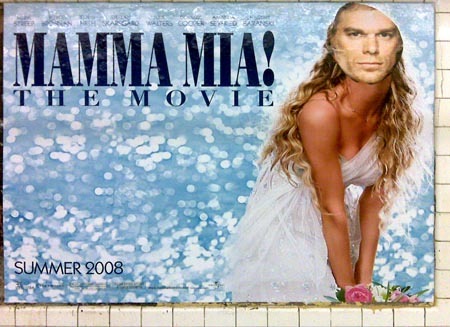 Subway Photo du Jour: Mamma Mia! Oh look, she has her father’s eyes. We all have someone from the Queens-bound platform of the Crosstown Local at Greenpoint Avenue to thank for saving us ten bucks (and listening to A LOT of ABBA). As you can clearly see, Dexter is Sophie’s father.